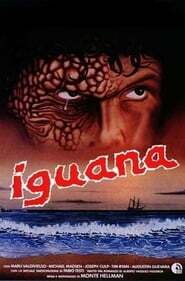 A grotesquely disfigured harpooner called Iguana is severely mistreated by his fellow sailors on a whaling ship in the 19th century. One night he escapes and takes up residence on a remote island. He makes himself ruler of the island and declares war on mankind. Anyone unfortunate enough to wind up on the island with Iguana is subjected to his cruel tyranny. Ed ora... raccomanda l'anima a Dio!